The answer is simple. “NO”. 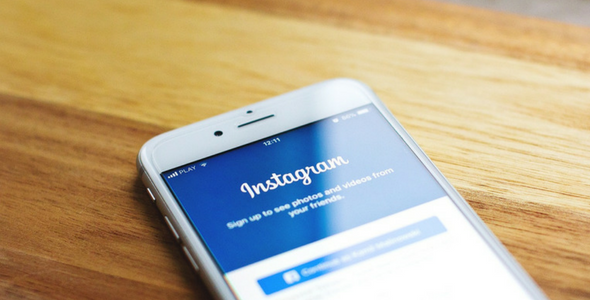 Instagram is a popular photo and video sharing app owned by Facebook. The app has so many things to entertain you for hours and keep your engaging. People share their creative photos and videos in hope to get more likes and appreciation from people around the globe. The better content you post, there are more chances of getting followers. The more followers you have, the better reach your get for your content. That is all about Instagram. Also see: How to earn via Instagram? As the platform is people centric, people want to know who is stalking their profile without liking or commenting on posts.So, some people have written blog posts to exploit the curiosity and get traffic. But they are not just getting the traffic, but also putting people on risk. Before I start explaining why should you not trust on the apps claiming to show you your profile visitors, have a look on number of apps with fake claims. Most of the apps that promise to tell you your Instagram stalkers also ask for your password. The they check your followers list and show you some random names. You have no way to verify this claim. So, you can either trust or uninstall. Some apps even ask you to pay for checking the Instagram stalkers. Here are some reviews of three of most popular apps claiming to show you your Instagram stalkers. One of these apps got over 1 million downloads. So, over a million users gave their Instagram password to this app. This app can store your Instagram password and even can take over your account to misuse it. Many people paid few of these apps. The hard truth is that Instagram doesn’t let you know who has visited your profile. There is no feature to track your profile stalkers. You can check number of people visited your profile in past seven days by switching to a business account. But you cannot check the name of those people. You can only check name of people checking your Instagram Stories. That is the reason Stories are much popular on Instagram. None of the third party apps available for Instagram can check for your Instagram profile visitors. Think logically. How can they check? Instagram never share this data via API. API is the way that allows two apps to talk to one another. So, no third-party app can collect this kind of data from Instagram’s server. All these apps just show random Instagram profiles but get your valuable password. Few even earn money from people. No, there is no way to check who viewed your profile. So, stop wasting time, money and risking your account. You will only be disappointed. What things you can see? You can check number of video views, profile visitors if you have business profile and name of people who checked your stories and liked or commented on your posts. Bloggers who are promoting those fakes just for few visitors and money should also understand how they are putting people at the risk. I am not putting any name here, but I advise you to stop following any such blog if you do. If you still have anything to ask, you can always leave a comment.